With the increasingly popularity of the Inca trail tours, obtaining permits, especially during peak season, can be particularly difficult. We offer two incredible alternative eco tours to Machu Picchu: the Weavers’ Way to Machu Picchu and the Inca Quarry Trail. Behind the Urubamba mountain range in southern Peru there is a region of high altitude valleys, where the Quechua people preserve an ancient way of life. 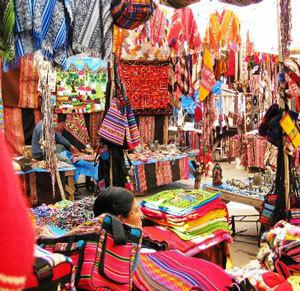 They herd alpacas and llamas, farm the Andean slopes, and make and wear beautiful textiles. 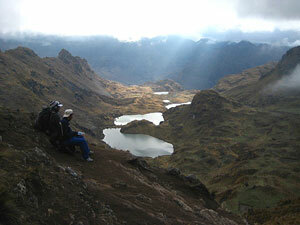 The trek is rated moderate and day 1 will take you to Lares/Huachahuasi. Travelers leave from Cusco early in the morning and drive to the town of Calca in the Sacred Valley of the Incas, then climb north to a beautiful high pass before descending to the villages of Lares located on the east slope of the Andes. Enjoy a dip in the hot springs and a picnic lunch outside of town. This is followed by a relaxing half day hike up the valley of the rushing Rio Trapiche, which will lead to the highland village of Huacahuasi, where the first camp is located. Day 2 begins with a steady climb through a landscape of Andean bunch-grass and flowers frequented by roaming herds of alpacas and llamas. Once an altitude of 4,500 m is reached, the trek crosses the pass of Ipsayccasa and descends into the Patacancha watershed, with lake Ipsaycocha to the right. In the wetlands you’ll see Andean Geese, Puna Ibis, and other water birds. Travelers stay near the village of Patacancha for the night. A transport takes you down to Pallata, where a short, half-day hike leads to Ollantaytambo, via the scenic Inca site of Pumamarca (Puma town). This Inca site was once a fort protecting the Sacred Valley. From Pumamarca, travelers hike down a trail through a series of agricultural terraces built by the Incas and now partially restored. Travelers then arrive at the village of Munaypata and rejoin the main road to take a short drive to Ollantaytambo. Following lunch trekkers visit the ruins and enjoy a tour of the nearby village. Travelers take a train from Ollantaytambo to Aguas Calientes and then a bus to the ruins of Machu Picchu. Machu Picchu tours feature the highlights of this incredible Inca settlement. After exploring Machu Picchu, travelers return to Aguas Calientes and then take a train to Cusco. This alternative to the Inca trail goes from the Sacred Valley of the Incas to the Inca quarries of Cachicata and Machu Picchu. Travelers will see mountain lakes, be able to hike to waterfalls and explore Inca sites that were once the residence of those who managed the Inca quarries. The day begins with a drive to Pachar in the Sacred Valley of the Incas, after following the Huaracondo gorge a short distance you’ll reach the trailhead at Raphcca village. Then hike up a lush valley with scattered farmhouses and crop terraces where Andean birds fly among native trees and shrubs. A picnic lunch will be enjoyed by a mountain stream. 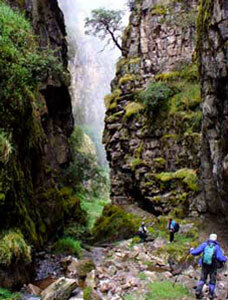 Trekkers will then decide between an easier route or a steeper hike to a tall waterfall. Climbing further, the hike leads to the little-known Inca ruin of Corimarco, which was probably built to collect and control the agricultural production of the surrounding valley. Day 2 begins with a climb across open meadows, before reaching a high altitude shrub land, which then turns into treeless grasslands. The trek winds around mountain spurs and with clear weather there are spectacular panoramas of the snow peaks in the area. Travelers will also be able to see the glaciers of Verónica in the north-west. The trek continues past mountain lakes before descending to camp at Q’euñacancha. There are two possible routes for day 3. Experienced groups can follow the Chancachucu valley downstream that plunges through Punkuyoc, a narrow ravine with vertical cliffs covered in ferns and orchids. The narrow trail then goes down grassy slopes and offers fantastic views of the Camicancha valley. Then travelers hike up the Inca water channel until they reach an easier path, with views of Ollantaytambo and the Sacred Valley before reaching the gateway of Intipunka, an Inca temple for worship of snowcapped Verónica. The easier route goes across grasslands to the south side of Yana Orco, which is a rocky cliff above the Sacred Valley and Inca quarries. It has great views of Ollantaytambo and its valleys. Tralvers then descend through woodland and approach the Inca site of Intipunku. Lunch will be near the Inca complex of Choquetacarpo. This site is believed to have been the residence of architects, masons and important visitors who managed the Inca quarries and performed ceremonies at Intipunku. After lunch, there will be time to explore the Inca quarries, a natural rock fall with large carved blocks of pink rhyolite. The quarried stones, part of a building project that was not completed, were intended for the Inca temple at Ollantaytambo. The third camp is near the village of Cachicata. Travelers can enjoy hot showers and relaxation time in preparation for the train to Machu Picchu the following day. After breakfast, travelers can return to Cusco or take the extension to the famous ruins of Machu Picchu. There will be a guided tour of the ruins and time for traveler’s to explore on their own. To learn more about these alternative routes to Machu Picchu please fill out our custom tours form to request a free quote! Still set on the Inca Trail? Check out our free guide to hiking the Inca Trail by clicking below! 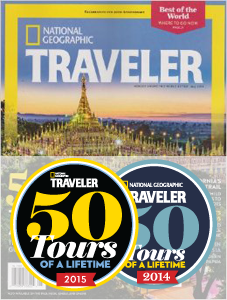 It has all the information you'll need to get the most out of your trek. Which alternative route would you rather take?